Before I launch into my assessment of the various options for snow-removal equipment, let me assert what gives me the right to supply tips on this subject. I am a life-long New Englander. I have been removing snow from around my home and/or hiring someone else to remove it for the better part of 50 years. And during many a winter's day when I have not, myself been shoveling, snowblowing, etc., I have listened to other folks talking about how they deal with getting the white stuff off their driveways, walkways, etc. In other words, I have more than a passing interest in choices for home snow-removal equipment: this is nothing less than a quality-of-life issue for someone who dwells in a part of the country where a snowstorm is possible at any time from November to April (speaking conservatively). There are a number of different options for homeowners snowed in, and each has its own set of pros and cons. I provide some tips that will help you choose between the various options and find one that is right for you. You can, of course, use snow shovels as your snow-removal equipment. In fact, to remove snow in areas such as around dryer vents, you almost have to shovel. But this method of snow removal may not be an option for those with weak backs. Nor is it as easy as it once was to find someone to shovel snow for you (that eager kid with a shovel in the neighborhood who'll take care of snow removal in your yard in exchange for a reasonable pay). But snowblowers take a bite out of your pay, and they require maintenance. It can be particularly irksome to have to work at getting a gas-powered snowblower to start up before you can even begin to clear snow away. Snowblowers also require storage space. For those without garages, this may be a tough requirement to meet. Ditto for those who do have garages, but who can never stand to throw anything away, preferring instead to just toss everything in the garage ("You never know, I might need this someday..."). 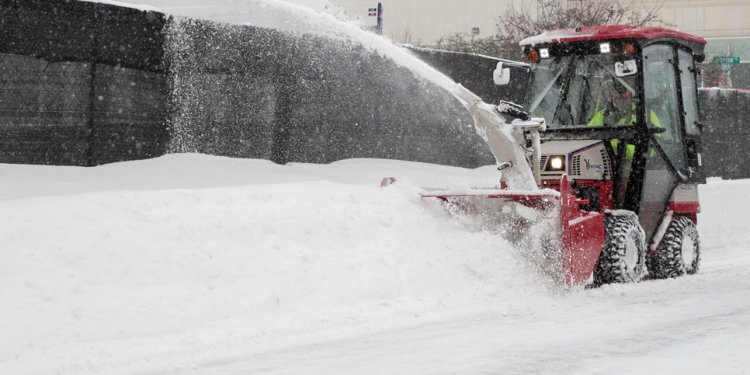 Remember also that there's a reason this beast is named a "snowblower": It blows snow, not slush. Many people who pay for a snowblower thinking that they're purchasing a device that will solve all the problems caused by winter precipitation fail to take into account that Old Man Winter doesn't always serve up the powdery version of the white stuff. Stickier, slushier versions may pose problems for your machine. If you don't have the storage space to house a snowblower, one alternative is to enter into a sharing agreement with neighbors. In an article appearing in "The Wall Street Journal Online" ("Choosing Your Weapons For the Winter Season, " filed January 29, 2002), Jeff Zaslow reported on the phenomenon of "plowsharing, " or using a community snowblower to serve the snow-removal needs of a number of homes at once. Zaslow noted the complaints of snowplow truck drivers that business had dropped 15% to 20%, because more people were taking snow removal into their own hands again. Sharing is a great tip, if your neighbors are pals of yours; otherwise, difficulties can arise here, too. If you have a truck, you could consider buying your own snowplow and attaching it to your truck, so that you could have your own snowplow truck. But for those who do not have a truck, the question is: Can you afford monthly bills to pay for a truck? Ford, Chevy and Dodge might approve of this snow-removal equipment, but your bank account might raise objections.